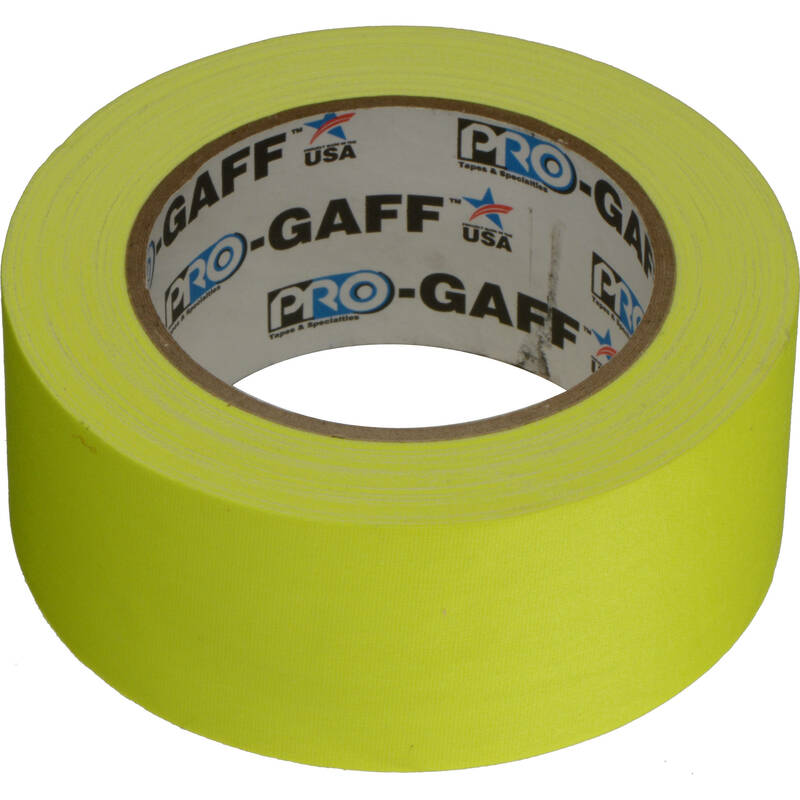 This 2" x 25 yd roll of fluorescent yellow Pro Gaff Adhesive Tape from ProTapes is a matte cotton cloth tape with a synthetic rubber-based adhesive. It features a high-visibility fluorescent color ideal for marking areas, can be easily torn by hand, and is weather resistant. It is useful in a wide variety of applications and is highly conformable. Box Dimensions (LxWxH) 4.7 x 4.65 x 1.9"
Pro Gaff Adhesive Tape (2" x 25 yd, Fluorescent Yellow) is rated 5.0 out of 5 by 6.